Saint-Janvier de Mirabel, July 3, 2018 – Stéphane Roy, president of SAGAMI / SAVOURA / SAVOURA BIO is proud to announce a $32M investment in the company’s St-Janvier de Mirabel production site for the construction of a 6.1-hectare greenhouse complex. 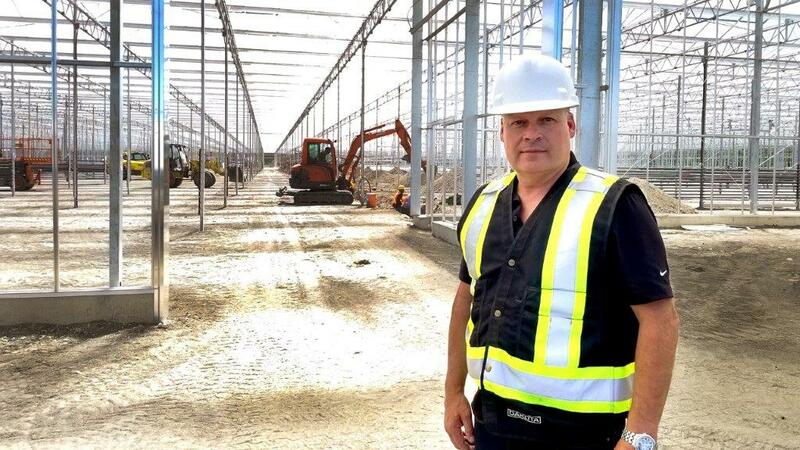 The greenhouse complex will be used solely for the production of organic tomatoes to supply the Quebec and North American distribution networks. The facility, which will start its production of organic tomatoes as early as fall 2018, is the first phase of a $125M, five-year investment in this site located in the Lower Laurentians. This investment, which now brings the production group’s surface area to over 32 hectares, including 11 hectares for organic farming, makes SAGAMI / SAVOURA / SAVOURA BIO a true North American leader in its industry. During this announcement, Stéphane Roy said he was particularly pleased to contribute to making Quebec’s organic greenhouse production a global model for responsible and sustainable agriculture. “For years, my team and I worked hard to achieve this outcome, which we are extremely proud of. I would also like to take this opportunity to acknowledge the Government of Quebec’s financial contribution, the details of which are outlined in a news release issued today. Their contribution is in line with the food policy that was announced earlier this spring. Quebec’s greenhouse production of fruits and vegetables significantly contributes to improving the health of Canadians, all while greatly reducing imports. The production of greenhouse fruits and vegetables is the most viable option when it comes to supplying our local grocery stores,“ concluded Mr. Roy. In connection with this announcement, Farm Credit Canada (FCC) said they were proud to be one of the financial partners in this major greenhouse construction project. FCC contributed $17,250,000 in the form of a term loan with various repayment terms, while the rest of the funding came from Desjardins Business. For over 20 years, Serres Sagami has been marketing different varieties of tomatoes under the Sagami brand name for the Quebec, Canadian and North American markets. In the spring of 2011, the company added several varieties of organic tomatoes marketed under the Biologico brand name, which then became Savoura Bio in November 2016. Since 2012, Serres Sagami has made several acquisitions to increase its production, including the most recent one, Serres Jardins-Nature in New Richmond, Gaspésie, and the most significant ones to date: the Serres du St-Laurent facilities and the Savoura brand in April 2015. And since December 2017, the company has been marketing strawberries grown on its Danville production site in the Estrie region. Serres Sagami now operates a total of nine production facilities throughout the province of Quebec. For more information on Serres Sagami, visit www.savoura.com. 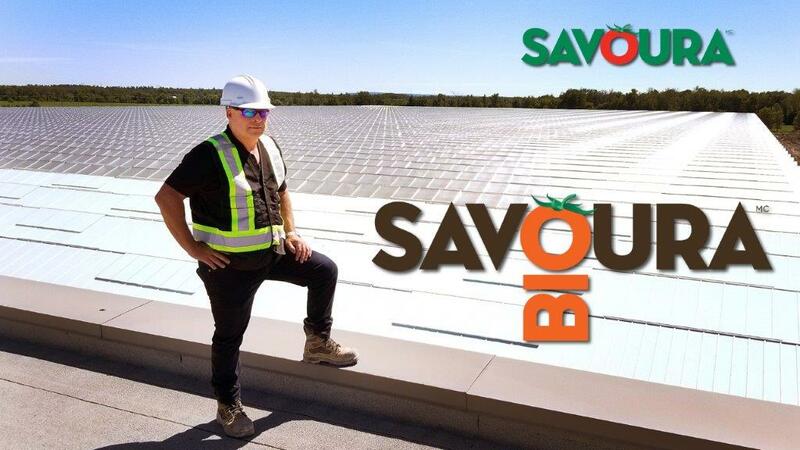 Photos: Stéphane Roy, President Sagami / Savoura / SAVOURA BIO on the construction site at Mirabel, Quebec.